Are YOU Getting All You Deserve Out of Salesforce? 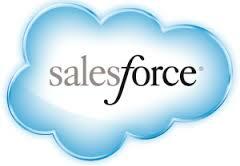 Salesforce.com is the head honcho of cloud computing, offering a slew of services for your company to utilize-but are you using Salesforce to its full power?! From Software as a Service (SaaS), Customer Relationship Management (CRM) to their renowned Sales Force and B2B Marketing Automation solutions, they have everything you need to boost sales productivity, manage contacts, communicate and sell as a team-all quantifiable with real-time Business Process Management (BPM) software and the ability to sync with Microsoft Outlook with ease! Since Salesforce’s debut in 1999, they have made great effort to stay up-to-date and relevant for their clients-with their wide array of services, it’s no wonder they were named Forbes’ World’s Most Innovative Company for 2011-2013! SFA and BPM are two areas of experience under Ayoka’s larger umbrella of business process management software development services that allow businesses of all types to integrate automated data management through custom software development solutions. The people who work at Salesforce also take client pains to heart, making sure their solutions are best-suited for whatever industry you are representing online, we hear they also throw great company parties and were named one of the 100 Best Places to Work For in Fortune Magazine for six consecutive years and counting! If you didn’t know, Ayoka is an official Salesforce.com Partner, offering professional services that compliment the #1 Software as a Service CRM solution. So what are you waiting for, Contact Ayoka to learn more about the custom Sales Force Automation Software Development, Enterprise Resource Planning Software Development and Business Process Management Software Development solutions provided by Ayoka. You may contact us using the contact form provided or by calling (817) 210-4042.